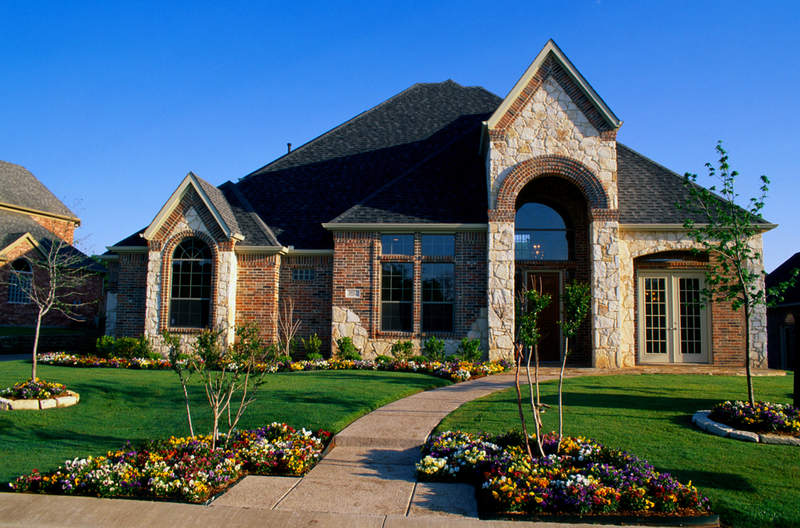 One great way to boost your curb appeal is to attend to your landscaping. Houses with well-maintained lawns and clean, tasteful landscaping get more viewings. Increasing your home viewings also increases the chances of selling your house faster. One of the best things you can do for your lawn is to simply maintain it. Keep it mowed, never lower than 2 inches, and keep your flower beds weeded. Keep your leaves raked and cleared away daily, along with any fallen branches or other debris. Pay attention to your sidewalks and driveway, too. Keep them swept and free of debris. Consider power washing them to really make it pop. One inexpensive and easy way to liven up your landscaping is just by adding new mulch. The color contrast of a fresh layer of mulch catches the eye and makes your plants stand out. Add a fresh layer to all your flower beds. 3) Fill in the gaps. Keep your overall cost down by focusing on filling out any gaps in your lawn and flower beds. Look for brown patches in your lawn. Rake out any patches of dead grass and reseed them. Fill in gaps in your landscaping with ground cover plants to add texture. Consider adding small groups of shrubs in key areas for a classier, cleaner look. 4) Trim and shape the edges. Make sure to edge your lawn when you mow. It makes your yard look tamed and low-maintenance. The same goes for your flowerbeds. Keep the edges well-defined by cutting a clean separation between the grass and the beds, sidewalks, and fence lines. Keep your flowerbeds weeded and free of debris. Prune low hanging tree branches, plants, and shrubbery. Lastly, don’t forget to add some color. There’s nothing like flowers to brighten up a lawn and make it feel welcoming and friendly. Focus on low-maintenance, colorful annuals. Spread them out throughout your flowerbeds or focus them around your porch and front door. Don’t forget to add a couple of hanging pots with flowers to your porch. Flowers always catch the eye. Your house will stand out and invite potential buyers to take a second look. Your lawn is either a warning sign or a welcome sign to potential buyers. No matter how amazing your house is on the inside, many buyers will never see it if they’re turned away by the outside. Conservative landscaping catches the eye and makes your house feel well-maintained and well-cared for. Why send any other message? Use these landscaping tips to get started selling your house fast. The Lippincott Team is your Cypress and North Houston area real estate resource. For more great tips or assistance with selling your home, Contact Us. Your home’s curb appeal is like a preview of a great movie. It’s the first impression potential homebuyers will get, and many will make a decision based on what they see. Don’t turn them away with a bad preview. There are many inexpensive ways you can boost your curb appeal. Give your door, trim, and shutters a fresh coat of paint. Consider adding molding to accent your door and windows. Make sure your welcome mat looks fresh and clean. Drawing attention to your front door makes it feel more appealing and welcoming. Some things are easy to overlook but could give potential buyers a negative first experience. Don’t let that happen. Your house numbers should be easily visible and attractive. Keep your windows and porch clean and tidy. Consider upgrading your mailbox and light fixtures. Open your curtains not only to add light inside but also to make your house seem more open and inviting. Symmetry is naturally attractive to the human eye. Use symmetry in your arrangement of door accents and light fixtures. Look for others ways to create symmetry in your yard and on your porch. This type of accent decoration arrangement is not only appealing, but simple to create. Flowers add color and life to an otherwise standard porch and yard. Freshen your flower beds with new flowers. Add arrangements to your front porch. They create a warm, welcoming first impression. Also, consider adding minimal landscaping and shrubbery. Take walk around your house and look for visible maintenance issues and repairs that need to be done. Take a good look at your roof, siding, and any wood. Look for damaged shingles, dirty or damaged siding, and rotted wood. Pressure wash your home’s exterior and make any repairs that need to be made. Sometimes you’re too used to your house and yard to notice things that potential homebuyers will certainly notice. Ask a neighbor, friend, or family member to take a look at your house from the street and give you feedback on what they see. Many home shoppers look online first. Once you’ve got it looking good, take many high-quality pictures of your home, inside and out. Be sure to include as many different angles and views as you can. Take more than you need, so you can choose the very best. There are several critical things you can improve to increase the chances of selling your home faster. Your kitchen, bathroom, and living areas are common points of focus. However, if potential buyers are passing your house by based on what they see outside, none of those things will matter. Give your house the best shot and selling fast. 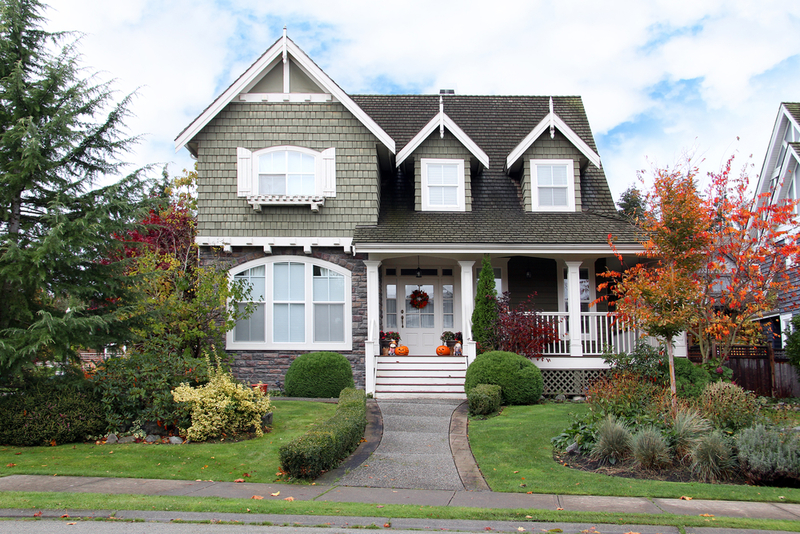 Get started with this guide on how to improve curb appeal. For more information on improving your curb appeal or for help selling your house, Contact Us. Smart technology has been around a while. While a home like the Jetson’s may be a ways off yet, many applications of smart technology are gaining popularity in homes. Homeowners like convenience, cost savings, and energy efficiency. A smart home can enhance all three and more. Installing smart appliances in your home gives you control from anywhere in the world. You can use an app on your phone or other mobile devices to control activities and functions in your home wherever you are. If you realize you’ve left the oven on, for example, you can turn it off easily even if you’re on vacation. Smart appliances can reduce your stress and make life easier. You can also coordinate certain events such as your lights dimming when you turn your TV on. 2) Increased safety and security. You can lock and unlock doors wherever you are and monitor activity inside and outside your house. You can also give visitors such as babysitters entry to your house during specific times only. Motion sensors can be installed and programmed to send you alerts when motion is detected. They can also trigger lights to come on to scare away potential burglars. You can access cameras inside and outside your home from wherever you happen to be. You can also get alerts from fire alarms and install sensors to detect small water leaks in probable areas. Burners can be programmed to only turn on when a pot is placed on top. Your AC or thermostat can be programmed to adjust the temperature when you’re away to save energy. You can also make more efficient use of your water. In sum, smart technology will allow you to use your appliances with the least amount of energy necessary. Saving energy also saves you money. By making the most efficient use of energy consumption, you ensure you’re not spending money on wasted energy. Appliances and lights will no longer be left on when no one is using them. Efficient use of your AC and thermostat also ensures you’re not heating or cooling a house no one is currently occupying. This equates to ongoing cost savings. While most people aren’t really looking for a futuristic, robotic house, the right smart upgrades can add to your resale value. Consumers are particularly drawn to convenience and energy/cost savings. Consider installing at least a smart thermostat, security, and lighting. When you’re selling a house, you want to impress potential buyers in every way you can. Investing in the right smart upgrades goes a long way at minimal cost. At the end of the day, your home is where you rest, play, eat, and grow your family. Your kids will study there. Your family will have entertainment and build memories. You will plan and dream. Why not make it as comfortable, cost-effective, and enjoyable as you can? Making the right upgrade investments will not only enhance your living experience but also add resale value. 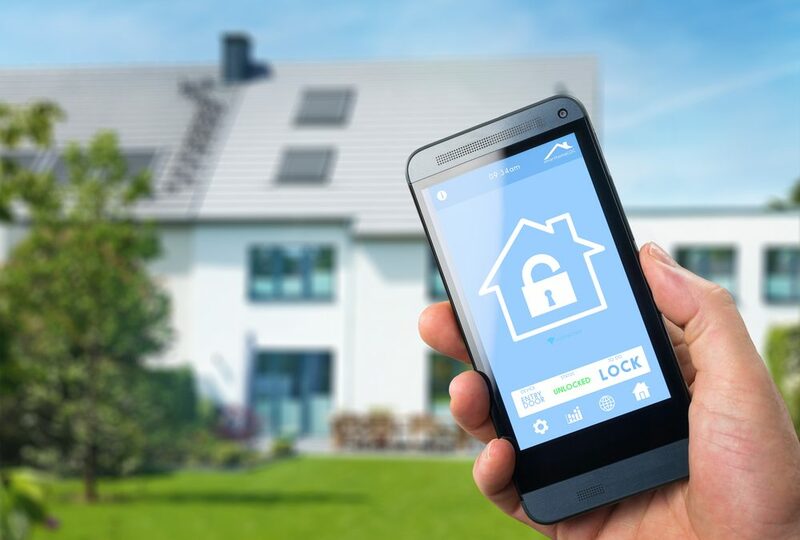 Consider making your home a smart home. For more information on the value of smart upgrades or for help buying or selling a house, Contact Us. Your home inspection is an important part in determining the home that’s right for you. The appearance, features, and location may be perfect, but you also need a health check. There could be issues that aren’t apparent in the initial walkthroughs but would cost you money and headache down the line. The home inspection is a buffer against these issues. Since you’re the buyer, you will hire the home inspector. Make sure he or she is properly licensed by the state. You may look for referrals from friends and family or from your real estate agent, but it’s good to also interview the inspector. Find out how long they have been inspecting homes, how many inspections they have completed, and their qualifications and previous experience. Make sure they include pictures in their reports and find out if they have a Supra key to enter the home. The inspector’s role is to analyze the strengths and weaknesses of the home and then explain them to you. 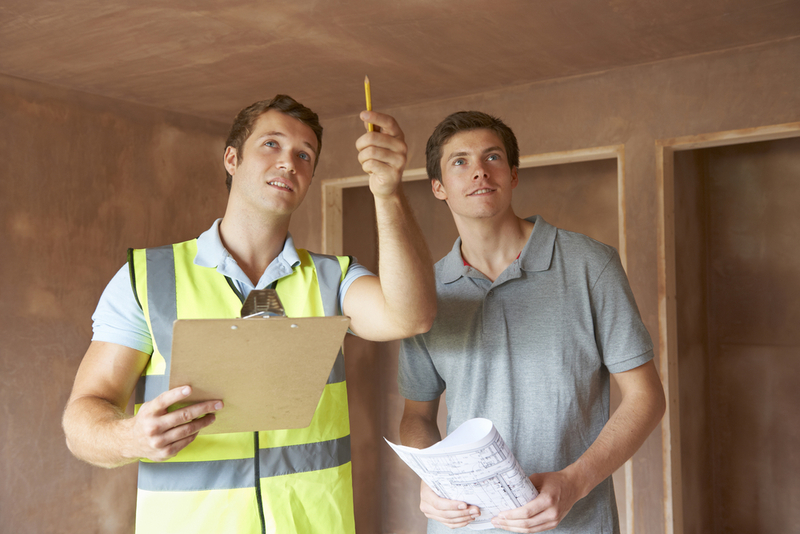 Your inspector should impartially point out any concerns they see. He or she will conduct a detailed walkthrough from foundation to attic that may last 3 hours or more. The review will include the structural, mechanical, and electrical systems. He or she will check the appliances, the heating and A/C system, and the plumbing. Taking notes, pictures, and commenting to you on what they see. You will be provided with a full report (with pictures) and his or her objective professional opinion about the state of the house. It’s not necessary to attend the entire inspection, but you’ll want to meet the inspector there at the end. He or she can go over the report with you, show you key areas of concern, and answer any questions you may have. Just remember, their goal isn’t to give you advice on the purchase of the home, but an idea of its current state. At the end of the day, though, a good inspector should be able to give you an idea of how much money you’d need for repairs and upgrades. The home inspection report should be extensive. A good report will have checklists, photos, notes, and summaries. It will include estimates on the remaining life of the major structural components, systems, and equipment. It will include recommended replacements and repairs. Don’t just glance at it. Review it thoroughly and ask questions about anything you don’t understand. For best results, request examples of previous reports before you select an inspector. Look for someone who is clear and concise. You want an inspector who simply states the issues and what it will take to fix them. As logical as it may seem to bring a friend or family member who knows about houses with you, it’s not the best idea. What you really need is an impartial, unbiased analysis of the house and all of its systems and equipment. A good, well-vetted home inspector is an experienced professional. You will get a professional, objective analysis. Personal friends and relatives are far from impartial and want to seem helpful. They may raise unnecessary red flags and complicate the process, rather than help it. It’s important to meet with your real estate agent after the inspection to begin negotiating repairs. Lean on your agent! For help buying a home, your real estate agent is a valuable resource for information, connections, and what to expect. When you’re getting the home inspected, you’re almost there. Assuming it went well, you could be closing on your new home soon! After the inspection, it’s time to huddle with your real estate agent to consider your next steps. If the inspection uncovered issues, it doesn’t necessarily mean you won’t still buy the house. It just may be time for further negotiations. Whichever it is, it helps to know what to expect during a home inspection. To learn more about the home buying process or for help buying your next home, Contact Us. Considering buying your first home? Congratulations! It’s an exciting time of expectation and preparation. It can also be overwhelming. Especially going over all the financing options. It will be one of your biggest investments and you want to make sure you’re making the right decisions. But where do you begin? When buying a home, mortgage lenders will analyze your creditworthiness. In a nutshell, they’re trying to get an idea of how much risk they’re taking on by lending you money. You want to take steps to make sure you’ll get the best rate possible. You also want to consider what’s best for you, both in the short term and for your long term goals. Lenders will look at your credit history and score to determine their level of risk in offering you a loan. Check your credit report. If there are errors, file disputes to clean it up. If you’re carrying high balances on any cards, pay them down. Lenders like to see you carrying balances that are no more than 30% of your total credit limit. Lenders also look at your recent activity. Don’t open a lot of new accounts or make any big purchases like financing a new car or a boat just before applying for a home loan. Instead, make choices to lower your risk to lenders for best results. In addition to checking your credit, lenders will also look at two other factors in determining the pricing of your loan. One is your loan to value ratio (LTV). The LTV is the amount you’re borrowing divided by the purchase price of the home. This gives the lender an idea of the implied equity available in the collateral (your home) being borrowed against. The higher the LTV, the more risk a lender will see. More risk = a more expensive loan. You can lower your LTV by making as big of a down payment as you can. Your debt-service coverage ratio (DSCR) is an assessment of your ability to make your mortgage payments. It is your monthly net income divided by your monthly mortgage costs. The greater your DSCR, the greater the probability you will be able to cover the monthly mortgage payments. This means less risk to the lender. For this reason, it’s important to include all qualifying income sources you may have when negotiating your mortgage with a lender. Another reason to make a bigger down payment and get your LTV down below 80% is to avoid having to purchase private mortgage insurance (PMI). PMI lowers the risk a lender sees in a borrower by transferring a portion of it to a mortgage insurer. In most cases, a lender will require PMI anytime a borrower is making a down payment less than 20%. Making a down payment gives you instant equity in your home. More equity says less risk to a lender. You will also want to consider whether a fixed-rate or an adjustable-rate or floating-rate mortgage is best for you. The rate on a fixed-rate mortgage will not change for the duration of the loan as long as payments are made on time. The rate may start off higher, but will remain constant. For new home buyers, sometimes an adjustable-rate or floating-rate mortgage is a good idea. Your payments typically start off lower, and increase in intervals over time. This is good for someone who expects their income to increase substantially over time. It’s also good for someone who plans on selling or refinancing before the rates change. There are a few different loan types you can apply for. One choice you will make is whether you want a 15 year or 30 year mortgage. A 15 year mortgage typically has a lower rate, but higher payment amounts. Stretching the payments over 30 years will lower your payments, but increase the rate. A shorter term loan will help you pay it off faster and pay less interest. However, you may be able to accomplish the same thing with a 30 year mortgage by making extra payments. Just watch out for prepayment penalties. You will also need to choose between a conventional loan, FHA loan, or a VA loan. Conventional loans are typically more difficult to get. They are fixed-rate mortgages not insured by the federal government. The qualifying requirements may be more stringent, but some things like PMI may be lower. A Federal Housing Administration (FHA) loan is easier to qualify for than a conventional loan. Down payment requirements can be as low as 3.5%. VA loans are given by the U.S. Department of Veterans Affairs to veterans and service people. They offer more favorable rates, typically without a down payment, and are generally easier to qualify for than conventional loans. VA loans often have a max limit. You must request eligibility from the VA prior to applying for the loan. Also, look for state and local government loan programs designed to encourage growth in certain areas. There’s so much to do in preparation for buying a home. Research, home viewings, decorations, and more. Don’t let financing your first home overwhelm you. Talk to a local real estate agent. He or she is connected to many lenders and can help guide you in the process. The Lippincott Team is your North Houston/Cypress area real estate resource. Contact Us for more information on buying your first home or to set an appointment.